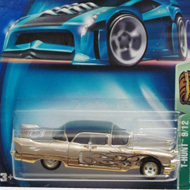 8/12 from the 2003 Treasure Hunt series. 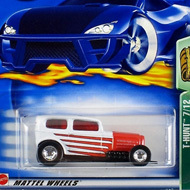 The Riley & Scott MK III features gold metalflake paint with white and black flames and the TH logo on the top. 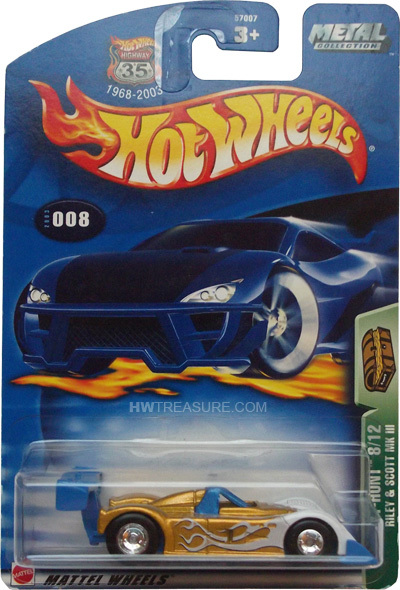 It has a blue spoiler and roll cage, Deep Dish Real Rider wheels, and a blue Malaysia base.